Executive Coaching: Wishing you had more hours in the day? Wondering how to take your team to its next level? We coach executives, leadership teams, nonprofit boards and small business owners to align purpose, passion and performance. Seeking help with strategic planning, board development and/or governance? Looking for an experienced facilitator for staff and board retreats? We deliver. Life Coaching: Stuck in a rut? Lost a loved one or a job? Entering a new chapter of life? We coach individuals to reclaim dreams, renew relationships and get moving again. 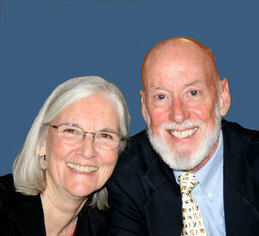 For the past twelve years principals, Bob and Peggy MacArthur, have served individual and organizational clients regionally, nationally, and in Canada. The Benz Center is a Community Center for all ages, and is available for a variety of events and activities from private parties to exercise classes. thoughtful copywriting and marketing guidance. Looking for someone to help with complicated paperwork? Someone to answer questions, sort out details, or complete time-consuming tasks? 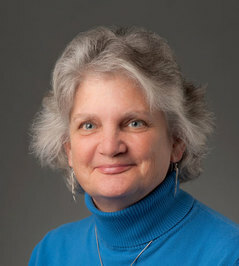 I am a seasoned professional, with over 30 years' experience as a paralegal, helping people understand and resolve personal, financial, real estate and legal matters. I enjoy helping people with tasks that may seem overwhelming - collecting important information, filing required forms, researching real estate records, organizing confusing paperwork, and meeting deadlines. Although only licensed accountants and lawyers can provide tax advice or legal opinions, I offer cost-effective, skillful solutions to the demanding tasks associated with personal, financial, and legal matters. Personal attention & confidentiality assured. b. A life worth living guided by a compelling purpose of their own design. If you are curious or unclear about your source, consider contact by phone, 603/284-7795; email, jgreenawalt@pmpcoach.com, or through our website: www.pmpcoach.com. 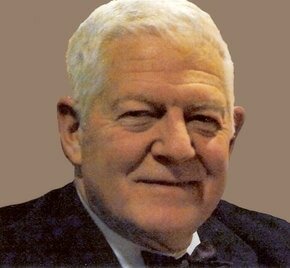 You will be assured of professional, courteous and friendly dialogue with its Founder, Jon L Greenawalt, Sr. backed by 31 years of applied experience in support of peopl framing and guiding their lives from their aspirations and commitments, rather than the burdens of their past. I engage individuals and client teams in developing proven leadership, management and interpersonal skills that can be applied immediately. Jon Greenawalt is a Sustaining Sponsor of this website. Providing confidential reviews and analysis of asset protection strategies to preserve estates and evaluate costs of late-in-life medical care expenses while minimizing probate delays and final expenses. Member: Financial Service Professionals, servicing clients for over 35+ years. 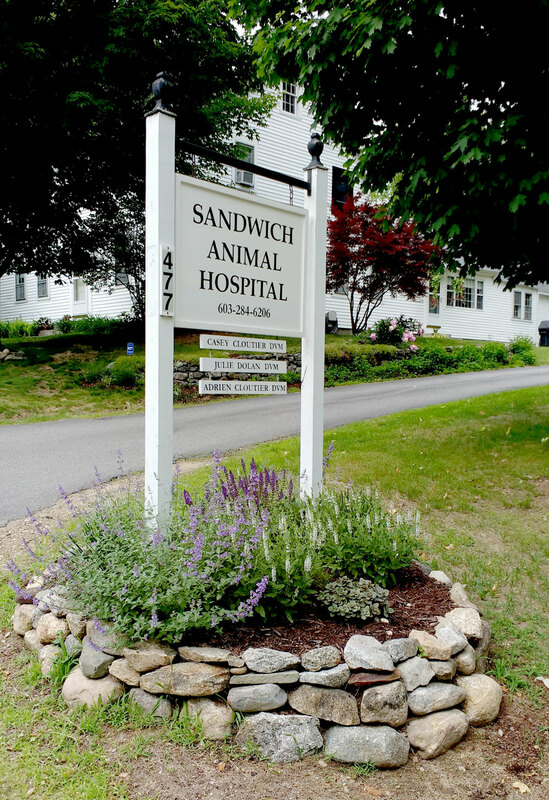 At Sandwich Animal Hospital you’ll find compassionate family veterinary care for large and small animals. We believe that a healthy animal is a happy animal, which leads to a happy family. Whether your pet is a dog or cat that lives indoors or a horse or cow that’s on your farm, our veterinary practice can help keep your animal healthy. Drs. Casey and Adrien Cloutier moved to New Hampshire in 2017, when the opportunity to achieve their lifelong dream of having a family-owned veterinary practice was presented. Both New England natives, they wanted to provide friendly, loving service to animals and their owners in a small-town community closer to their roots. If you have questions about any aspect of care for your pet, feel free to ask the vets at Sandwich Animal Hospital. 477 Whiteface Road, N. Sandwich. 284-6206. Mon–Fri, 8 – 5. Office hours by appointment. Swim lessons for children 3 1⁄2 years and up. Sandwich Aquatic School has been in operation for 50 years. It’s reputation has spread throughout the region. Special attention is given to the students in the program that emphasizes strong swimming accomplishments, with a special emphasis on freestyle (overhand). We have an excellent staff with a very good student/instructor ratio. The program has been featured on national public radio. Minimum sign up is for 2 consecutive weeks with options to go additional weeks if desired. 199 Squam Lake Road, Sandwich. Call Alan Switzer for more information at 284-6943. 54 Maple St., Ctr. Sandwich NH. 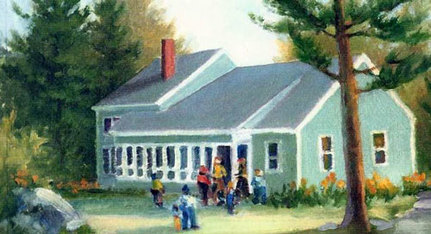 Founded in 1985, Sandwich Children’s Center is a non-profit early learning center. Flexible drop-off and pick-up times to match families’ schedules. Sandwich Children’s Center is dedicated to providing children with a foundation for future learning by creating an environment in which children can discover themselves, the natural world, and the communities around them. We work to fulfill our mission by offering a culture of creativity and warmth using nature as our classroom and play space, with the arts as a tool for giving voice to a child’s experience. We are committed to providing access to all children regardless of ability or economic status, and believe that a loving, warm, and engaging start is what every child deserves. opportunities by providing development assistance and financing. Plan to expand or relocate? Unable to get bank financing? The purpose of WEDCO's financing is to retain and create employment opportunities for area residents. The primary criteria is the retention and/or expansion of the regional employment base, leveraging additional financial resources, and demonstration of the borrower's ability to repay.